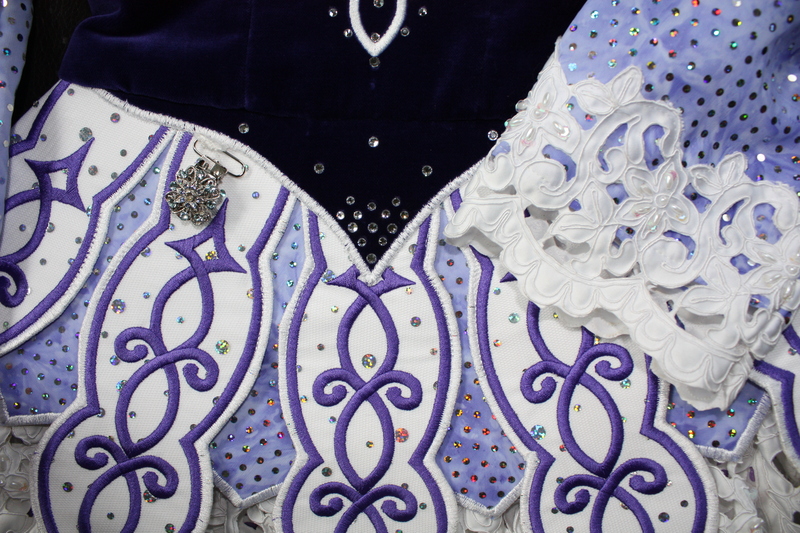 Stand out in a crowd with unique and eye-catching SILVER and PURPLE! 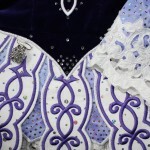 Original owner dress in pristine condition. Worn only 6 times and sadly selling due to growth. 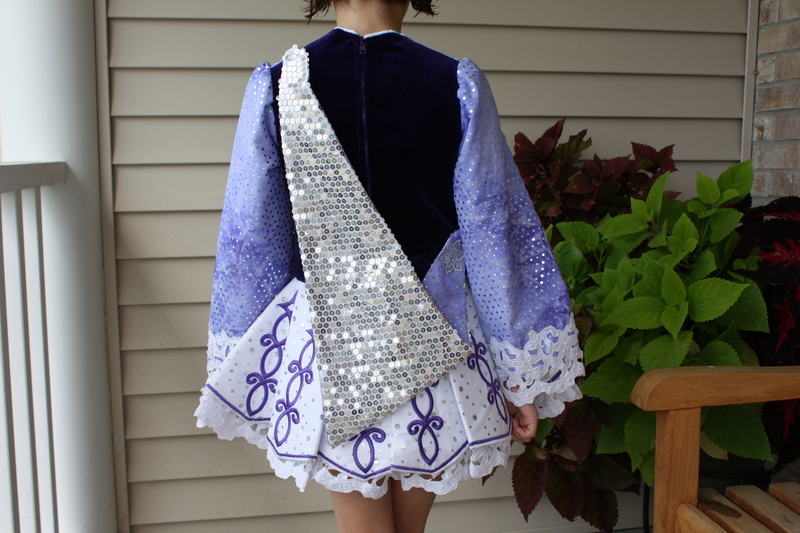 Gorgeous dark purple velvet bodice with white embroidery and crystals, lavender tie-dye sleeves with silver accents, designer beaded satin-cut lace and spectacular silver sequined cape. 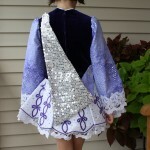 Comes with original custom crown and white satin with purple heart bloomers. 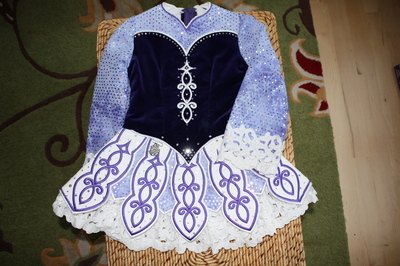 Stunning on stage and received many, many compliments. Stored flat in a smoke-free home. Asking Price: $US949. Shipping costs are included for my own country, overseas shipping is extra. Will accept returns and refund the cost of the dress, buyer to pay all shipping costs.